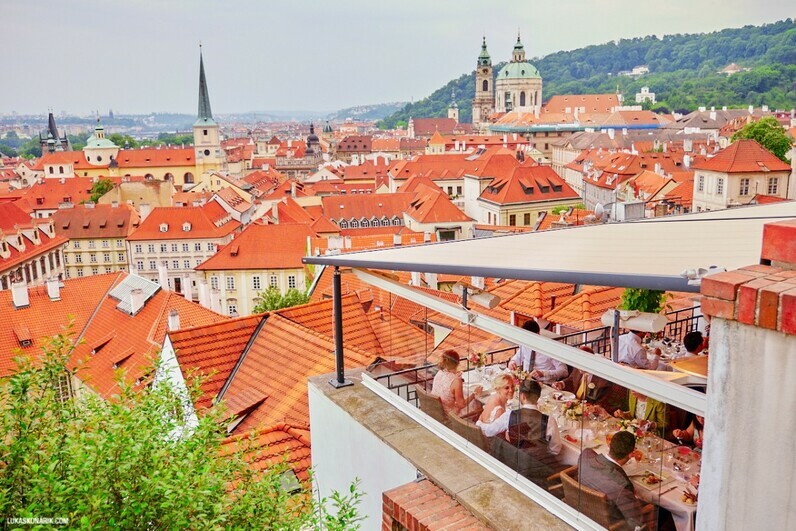 This restaurant is one of Prague’s "hidden secrets". 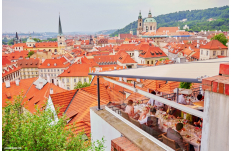 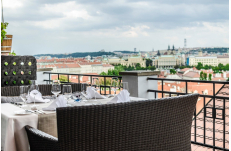 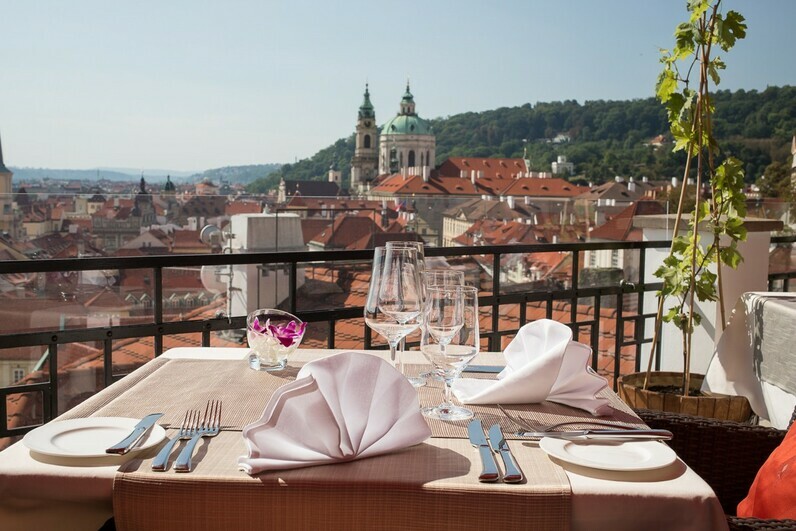 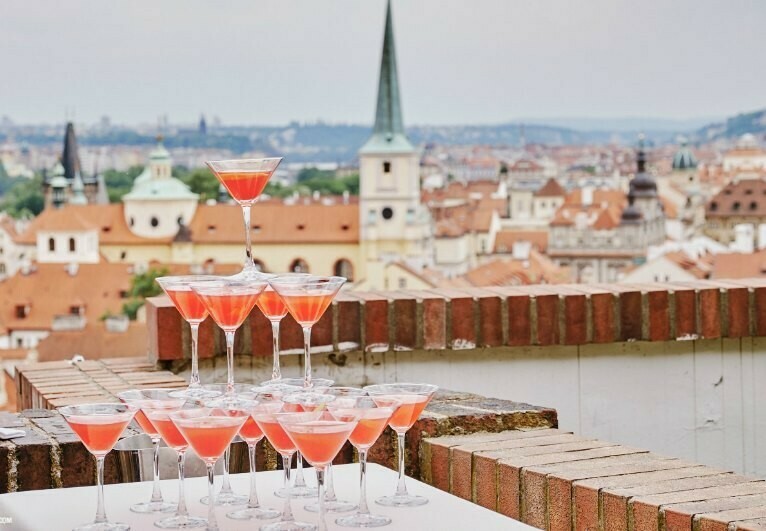 As you enter the restaurant, a beautiful panoramic view of the rooftops of Lesser Town (Malá Strana), unfolds before you, stretching across the river into Prague's Old Town. 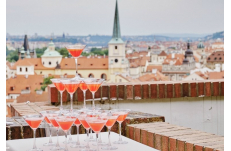 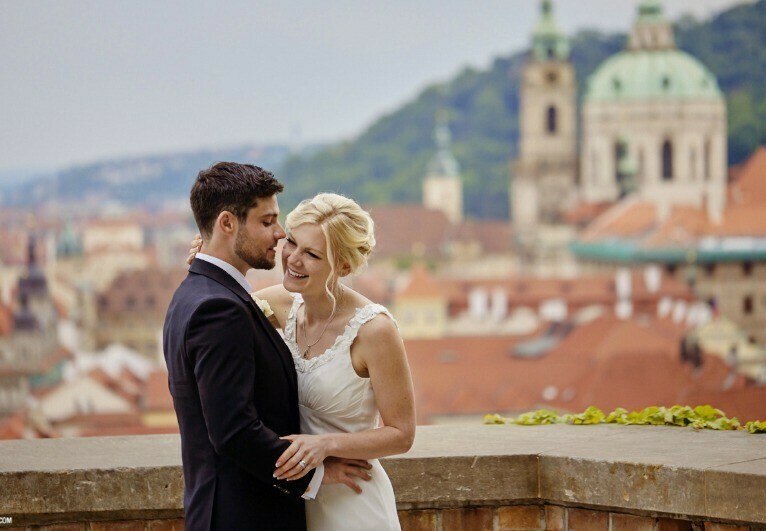 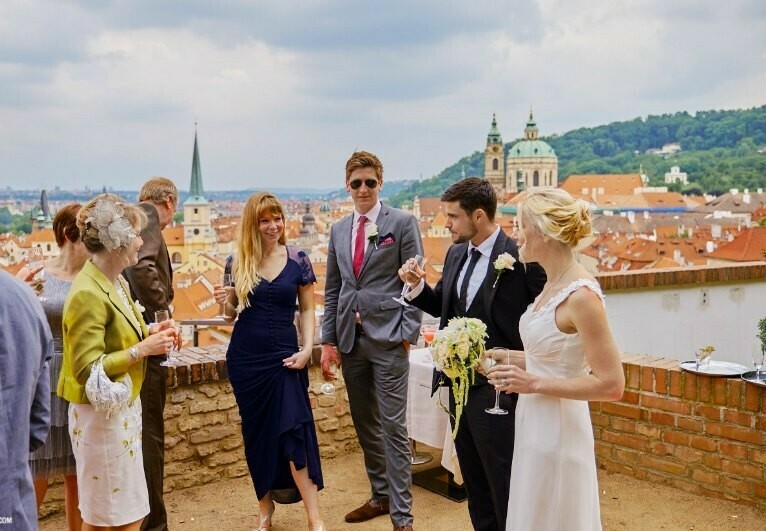 The venue is located high up, nearby the Prague Castle, just a few minute walk from the Charles Bridge. 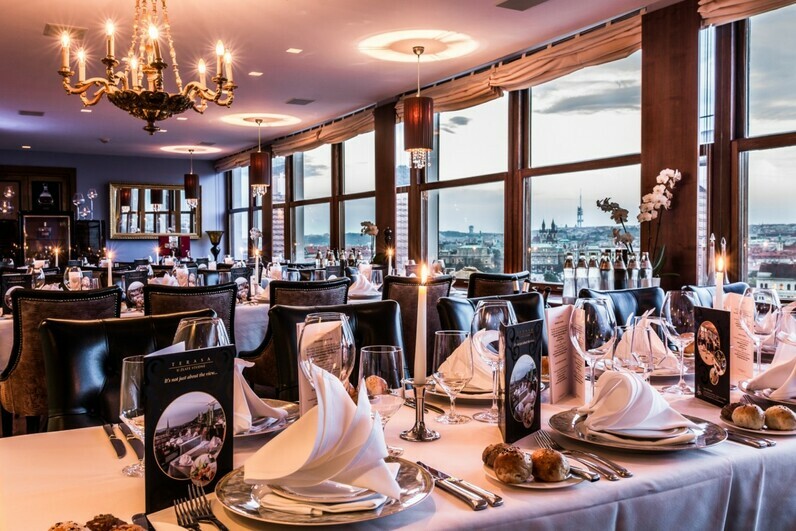 Large windows ensure perfect views, even in the cold winter months. 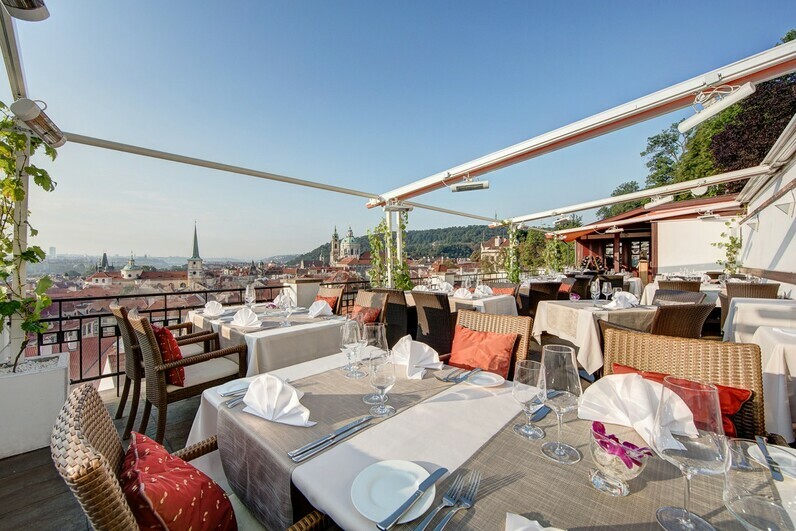 On fine summer days, guests are invited to eat outside on the heated terrace. 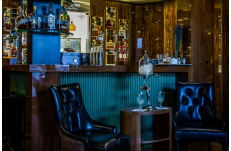 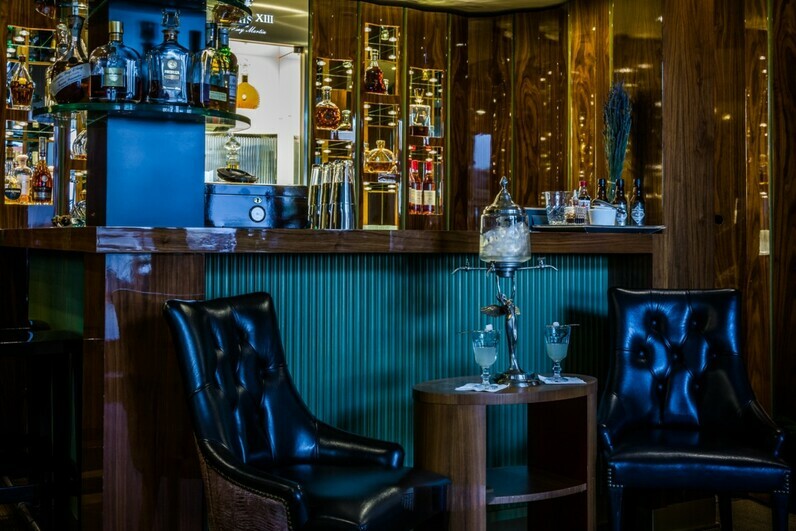 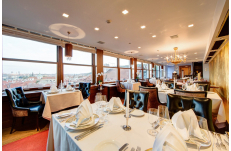 The restaurant interior is modern, and meticulously fitted into a stylish and well established eatery. 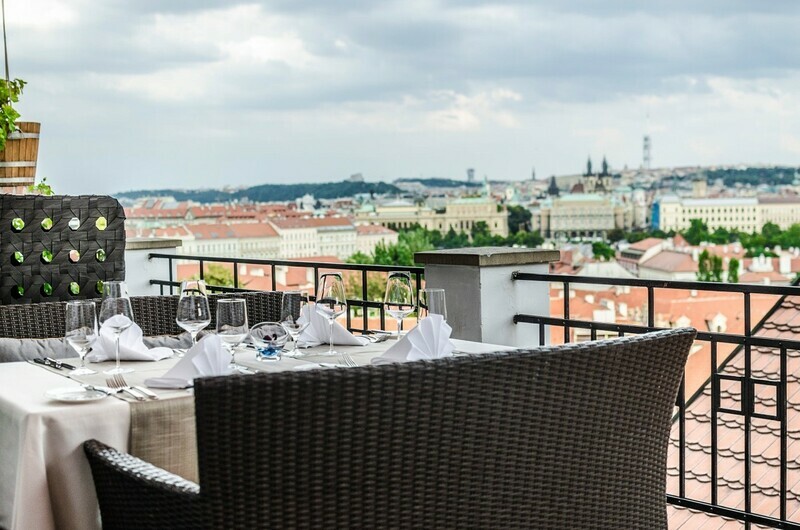 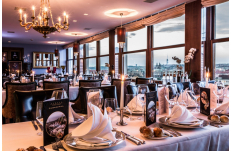 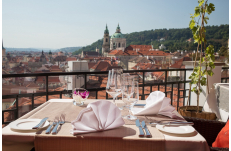 The Restaurant is an escape from the Prague crowds, and serves a perfect setting for romantic & special occasions. 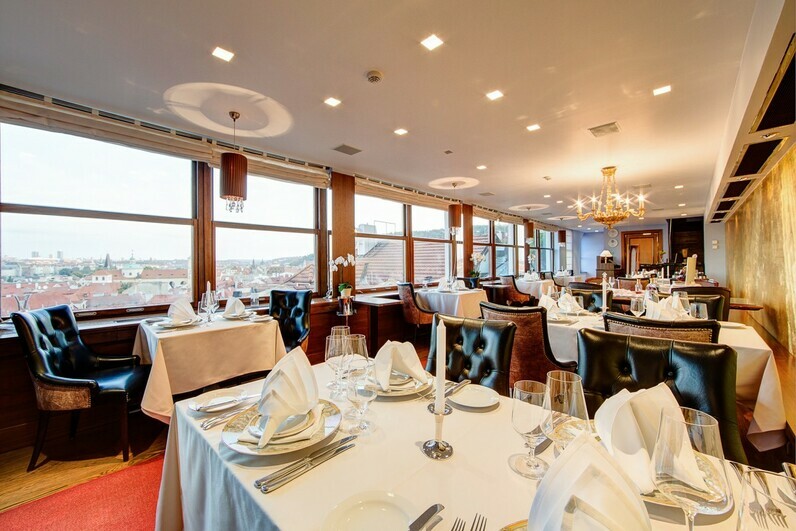 Restaurant: 36 guests. 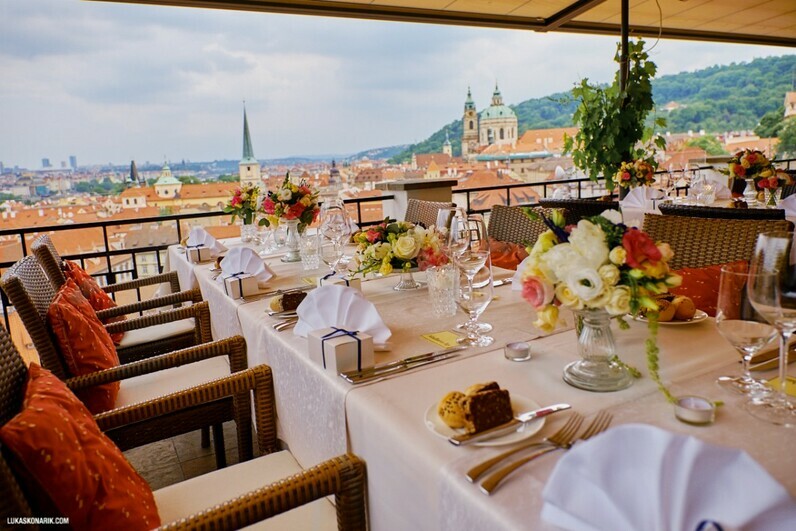 Terrace: 40 guests. 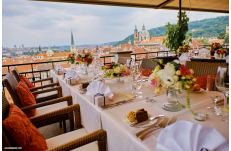 Summer garden: 30 guests.